Last year a video of an intriguing Chinese invention surfaced online. However, that concept failed to realize. 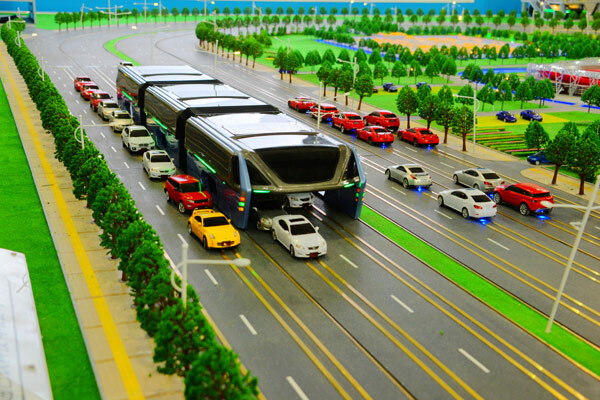 Last year, you might have come across a video of exciting Chinese invention: a giant elevated bus on tracks that would actually be able to drive over traffic on the road instead of adding to it. But the bus has problems. The video of its "test" that captivated the media was done on a 300-meter stretch of road stripped of regular traffic, which kinds of defeats the purpose of the test. The video also shows the bus can only accommodate small cars. It didn’t address what happens if the bus zooms over a big van or a semi-truck. Chinese state media accused the bus of being a scam, noting that all of its funding came from a rough Chinese equivalent of Kickstarter. The “bus” was also last seen abandoned in a garage, and the company behind it appears to have vanished. That might have something to do with the revelation that the section of road it was tested on was left unusable as well. The bus was such a colossal failure that it literally destroyed everything it touched.